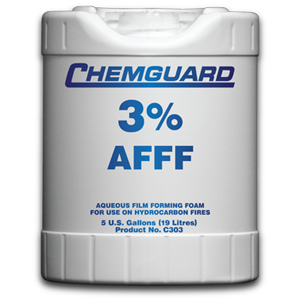 T-STORM Structural Firefighting Foam (SFFF) is a non-corrosive, non-toxic, biodegradable foam concentrate. When mixed with water in the correct proportion, it changes the properties of water. It reduces the surface tension of the water, and produces foam, which allows the water to cling to vertical or horizontal surfaces without run off. This allows the water to absorb more heat and provides greater penetration into Class A fuels. Finished foam characteristics are dictated by the type of discharge device, flow rate, discharge pressure, and amount of foam concentrate in the water. 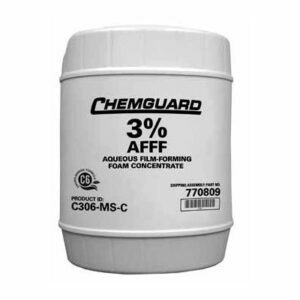 If kept in the original unopened and airtight factory supplied container and stored within the temperature range of 35ºF-120ºF (2°C – 49°C), a shelf life of between 20-25 years can be expected. When stored in other than the original supplied container, check with Williams Fire & Hazard Control for storage guidelines. If frozen during storage, thawing will render the product completely serviceable. Note: It is not recommended to pre-mix Class A concentrate with water for long-term storage. T-STORM SFFF is available in pails, drums, or totes.